If you are ever in need of breakdown recovery in Aberdeenshire, remember to call on the experts here at Tillyfar Garage Ltd to help you with your problem. We pride ourselves on being professional, reliable and dedicated engineers that offer the best service in the local area, and all at the most reasonable prices. Get in touch today to find out more about what we can offer you! If you have a damaged vehicle in Turriff that you would like to be restored to its former glory, enlist the help of our expert team. 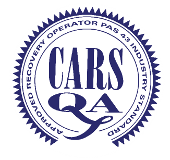 We are members of the Scottish Motor Traders Association and hold the PAS 43 inspection certificate for your complete peace of mind when it comes to garage services, and are more than capable of aiding in the full recovery of cars and light commercial vehicles alike. We are based in Turriff, but are able to help those all over the North East of Scotland; regardless of your situation or requirement we invite you to get in touch with us for a quick and reliable solution. Tillyfar Garage Ltd have been established for over 30 years, and during this time we have been able to build up a terrific reputation for ourselves due to our unwavering dedication to customer satisfaction, our highly competitive rates and the fact that we always work to the best of our time served abilities. If you have suffered an accident and require recovery or repairs, please make sure we are your first choice!